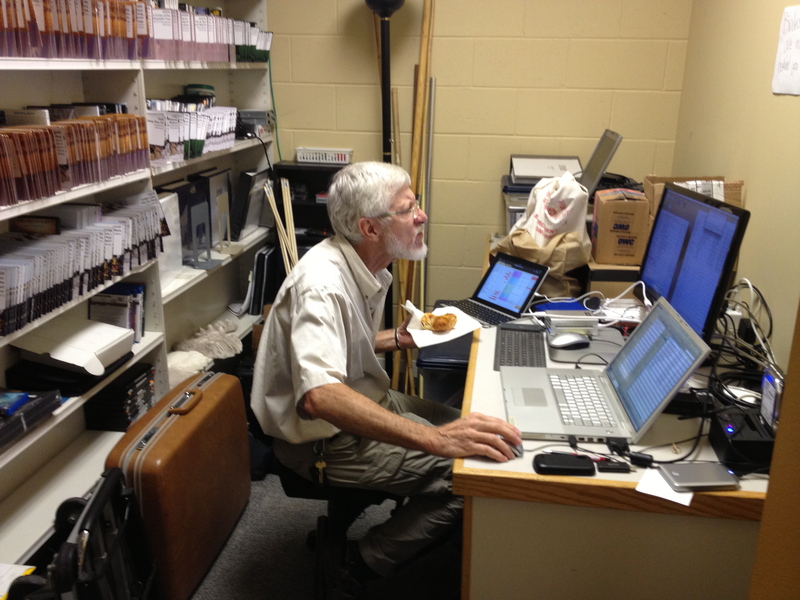 Behind the Scenes at the JHWFF office – Jackson Hole Wildlife Film Festival: Our Blog has MOVED! The count down is on: just three days until the Summit and Festival begin. As you can imagine, putting together an event (in this case, two events rolled seamlessly into one) of this international magnitude is an enormous task. I ** thought you might enjoy some photos from behind the scenes. During my visit to the office yesterday I found the staff excited, exhausted, focused, frenzied, and as always – working super hard. The ED, Lisa Samford was running around too much for me to get a photo. But I caught some of the staff on film. 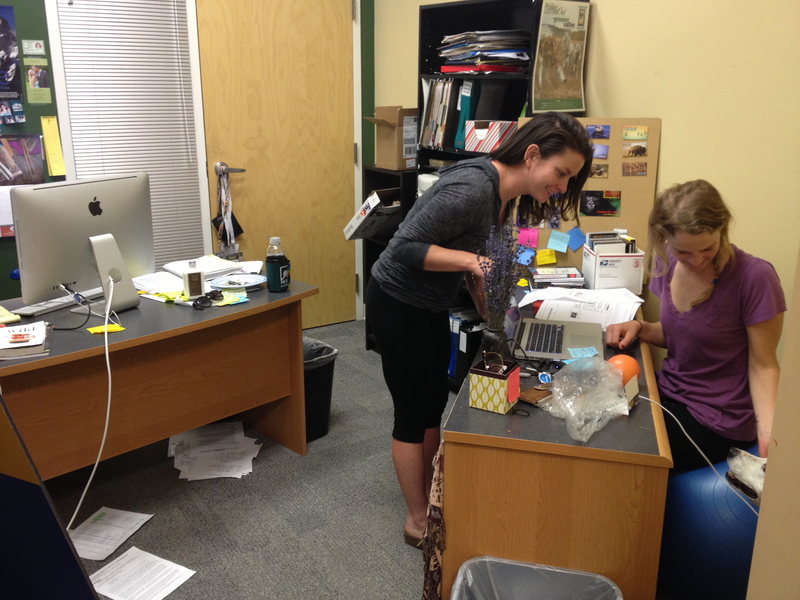 Special Events Coordinators Laurel Hesse and Sarah Wilson, in the thick of it all. My dog Zia provided a moment of relief with an under the table ‘hello’ to Lina Collado, Marketing and Events Coordinator. Tech Director, ‘CR’ eating lunch while sorting through all the sessions and coordinating the where, what and how’s of the session schedule. 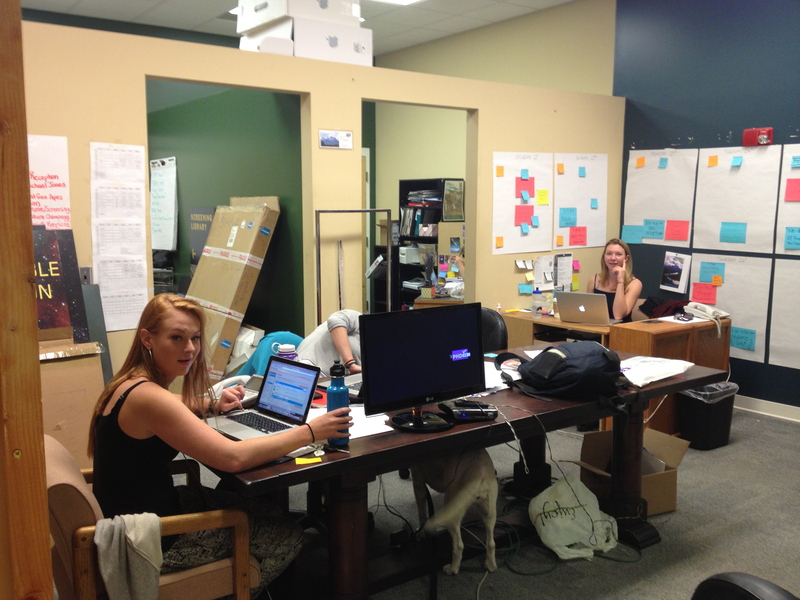 Kori Price, Marketing and Design, and Ellen Yeatman, Production Associate saying Hi to Zia. 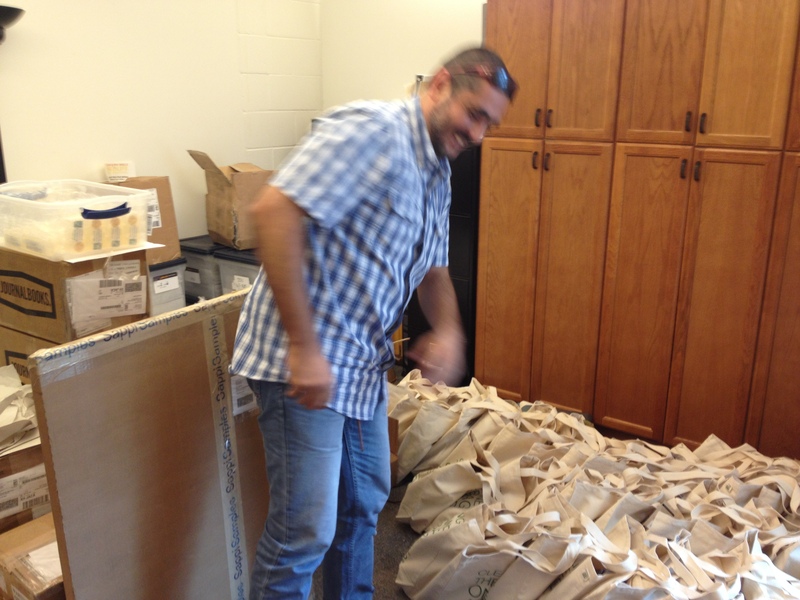 Luca (from Italy, and Sarah’s main squeeze who arrived in town yesterday) stuffing the VIP gift bags with coffee, chocolate, films, books, and a zillion other goodies.